US CITIZENSHIP OR GREEN CARD REQUIRED. (Note: this is due to US export regulations. Sorry, we are unable to make exceptions.) All Summer 2019 internship positions have been filled. We are currently accepting applications for Spring/Fall 2019 internships. Four billion people do not have access to the internet. Astranis is going to change that. We are building the next generation of smaller, lower-cost telecommunications satellites to bring the world online. And to pull it off we have to reinvent microwave radio systems in space using SDRs. Work with incredibly smart people who have flown things in space before. We are a well-funded team that moves fast. No prior space experience needed, you just need to enjoy getting your hands dirty with real hardware and be ok with struggling to do things that seem impossibly hard. Our mission and our products are meant to connect the whole world and everyone in it, regardless of race, creed, or any other distinction. We believe in a diverse and inclusive workplace, and we encourage all people to come join our team and bring their unique perspective to help make us stronger. Note: All Summer 2019 internship positions have been filled. We are currently accepting applications for Spring/Fall 2019 internships. Four billion people do not have access to the internet. Astranis is going to change that. We are building the next generation of smaller, lower-cost telecommunications satellites to bring the world online. And to pull it off we have to reinvent microwave radio systems in space using SDRs. Work with incredibly smart people who have flown things in space before. We are a well-funded team that moves fast. No prior space experience needed, you just need to enjoy getting your hands dirty with real hardware and be ok with struggling to do things that seem impossibly hard. Our mission and our products are meant to connect the whole world and everyone in it, regardless of race, creed, or any other distinction. We believe in a diverse and inclusive workplace, and we encourage all people to come join our team and bring their unique perspective to help make us stronger. 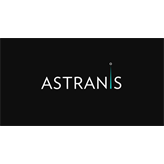 Want to get notified about new jobs at Astranis?